When Keramet Reiter set out to conduct a series of in-depth research interviews earlier this year, most of those she approached asked to meet outdoors or close to a window. No, these weren’t claustrophobics she was speaking with. Rather, they were former prisoners living in the shadow of long-term confinement in “supermaximum” isolation units. An upbeat Berkeley doctoral student who has volunteered in jails and prisons since her undergraduate years at Harvard, Reiter, now 30, is keenly interested in “how criminal-justice policy gets made.” For her Ph.D. work in jurisprudence and social policy (she earned her J.D. 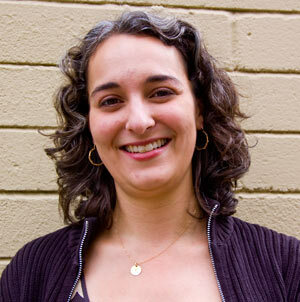 at Berkeley Law in 2009), she decided to trace the rise, development, and boom in a form of incarceration she characterizes as extreme, widespread, and “incredibly” expensive. The project has led Reiter to scour the California legislative record as well as to interview lawyers, current and former prison administrators, and architects who helped design the state’s supermaximum units — designed to protect prison staff and inmates alike from particularly violent prisoners, and high-risk inmates, especially members of rival gangs, from each other. 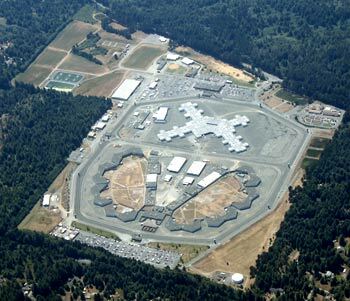 The first supermax prison opened in Florence, Ariz. in 1986, and California quickly followed suit, opening a unit at Corcoran State Prison in 1988, and the Pelican Bay complex in 1989. Today almost every U.S. state, as well as the federal prison system, has one or more supermax units, holding an estimated 25,000 prisoners between them. California, with about 3,330 prisoners in supermax, houses more people in this form of confinement than any other state — “by a factor of 10,” Reiter estimates. Typically, “the day-to-day lives of those on supermax,” Reiter says, “are more confined than those on death row.” Most are allowed radios but only some have TVs; access to reading materials is limited. Meals arrive through a small slot in a remotely controlled door. A prisoner is permitted outside his or her poured-concrete cell four or five times a week — to shower or to exercise briefly in a small cage partially exposed to natural light. To leave the cellblock for a medical appointment or a disciplinary hearing, an inmate must be escorted in cuffs or chains by at least two officers. Early solitary confinement in the U.S. Reform-minded Protestants are credited with launching, in the late 1700s, America’s long-running experiment with solitary confinement — on the theory that complete isolation, with a Bible, in a dark stone cell would lead a prisoner to prayer and penitence. “Penitentiaries” were built, even as evidence began to suggest that such conditions drove many individuals not to the straight and narrow but straight over the edge. “A considerable number of the prisoners fell, after even a short confinement, into a semi-fatuous condition, from which it was next to impossible to arouse them, and others become violently insane; others still committed suicide,” U.S. Supreme Court Justice Samuel Freeman Miller wrote in a 1890 opinion, Medly v. U.S.
Supermax prisoners are not permitted to work in prison industries, take part in group free time on the yard, or participate in substance-abuse treatment, spiritual support groups, classroom assistance toward a high-school G.E.D., or any other prison programming. Originally intended for fixed terms of confinement of at least six months, it’s not uncommon today for prisoners to remain in supermax for years at a stretch — sometimes even decades, Reiter notes. Inmates sometimes say that there are only three ways out of supermax: “parole, snitch, or die.” A federal court recently agreed to hear a challenge (Silverstein v. Federal Bureau of Prisons) brought by a man who has spent 27 years in solitary confinement. Boon or hazard to public safety? “We think of supermax as taking the worst of the worst,” says Reiter — noting that California inmates are sent to the SHU if they’re determined to be a gang leader or if they commit a serious infraction of prison rules, such as attacking a guard, while inside. “Yet most supermax prisoners get out eventually.” California releases 50 to 100 prisoners a month to parole from supermax — often without any transitional programming inside to re-acclimate them to human interaction, or prepare them to make a living on the outside. You don’t have to have a law degree or a human-rights orientation, as Reiter does, to wonder whether such a system is the best way to protect the public, especially given longstanding concerns about the psychological effects of solitary confinement. (See the 2009 New Yorker article by Atul Gawande on this topic.) For those with documented pre-existing mental vulnerabilities, such as schizophrenia, the federal courts have outlawed supermax confinement as cruel and unusual punishment. Over the summer Reiter, supported by a Human Rights Center Fellowship, interviewed a number of former prisoners who served months or years in a SHU. Having worked with people caught up in the criminal-justice system for more than a decade, she felt less “initial trepidation,” she says, than many might bring to a two to four-hour conversation with someone who has served time for a violent crime. “My anxieties mainly focused on how I would find people, whether they would have time to talk to me, and where we could meet that would be comfortable for both of us,” she reports. Most of those she interviewed were convicted of a murder or felony murder charge, mostly in their late teens or early twenties. Reflecting on those encounters, what surprised Reiter most, she says, “is how powerful and powerfully sad these former prisoners’ stories were.” Each “had different, but poignant, anecdotes about the way they experienced the deprivation conditions,” she recalls. People spoke of having no clocks, daylight, or seasons to mark the passage of time; growing pale from lack of sunlight; and being amazed at the sight of a single bird, insect, or even the moon, after months or years of virtually no exposure to the natural world. The logic of the SHU, at least in part, “is to protect officers and prisoners from each other,” Reiter notes. Yet her informants often reported being “just as scared in supermax” as when housed with the general prison population. “Officers press a button to let you go out to exercise,” Reiter says. “Sometimes they open two prisoners’ doors at once, either by accident or on purpose” — and a physical assault can follow. Reiter’s research has led her to conclude that the policy governing California’’s supermaximum units has evolved haphazardly. The system’s early architects, concerned with a rise of dangerous gang rioting in the prisons, envisioned sending a small number of inmates to SHU units for as long as a few years, but not indefinitely, and with transitional “step-down” programming prior to their parole.